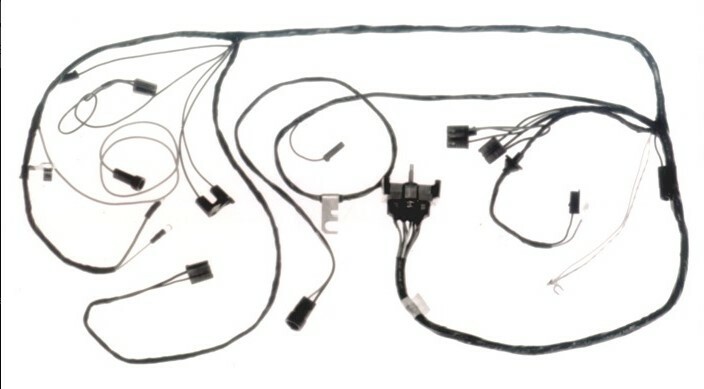 ﻿ 1970-72 ENGINE HARNESS SB V8 HEI | Vintage Chevy Trucks - We are the largest parts supplier in the world for your 1967 - 1972 Chevy or GMC Truck! This harness plugs into the dash harness at the firewall on your truck. Common circuits include the ignition coil, wipers, heater blower, starter, temperature, oil pressure and others, depending on the year and option of your truck. Variations include engine size, transmission type and if your truck is equipped with warning lights or factory gauges.